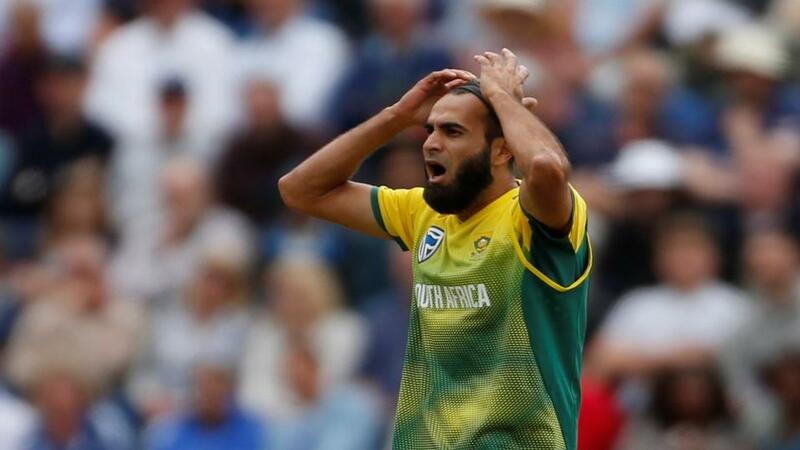 "In a battle of wits we would bank on Tahir to come out on top every time against the befuddled Aussies"
Australia will host South Africa in a one-off T20 at the Gold Coast Stadium in Carrara on Saturday morning. They couldn't get much farther, in terms of distance and culture, from the dustbowls of the United Arab Emirates if they tried. And good for them. The last thing Australia want to do in these straitened times is hark back to the nightmare of Pakistan a few weeks ago. They were embarrassed in the Test matches, offering skeletal resistance in the end against Pakistan's spin aficionados. And then they were humiliated in the T20s, utterly failing to show any sort of subtlety or art in their batting when the ball started to turn. Despite the very Australian comforts of the Gold Coast, there is every reason to believe that the issues highlighted by Pakistan's spinners will return to haunt them. It is a problem which is unlikely to go away soon, a reason why South Africa batting first is a decent option as discussed here. Australia's batsmen will be stalked by spin wherever they go until they stick with personnel and a plan. And that opens up a betting opportunity. We know that Australia are confused by tweak. Against Pakistan their first ploy was to go on the attack and try to hit the spinners off their lines and length. Didn't work. Next they were over-cautious, trying merely to survive. Didn't work. In the third T20 they went for something in between. Didn't work. Imran Tahir is second to Rashid Khan as the most influential spinner in T20s. And in a battle of wits we would bank on him to come out on top every time against the befuddled Aussies. He's a wizard, a master. It doesn't seem especially fair that Australia have to face him. Of course, that doesn't cut it here. That's just opinion. We need facts and we need numbers before betting on Tahir to win the top South Africa bowler market at 11/4. Right then. Tahir is statistically a 2/1 chance. That's how often he tops this market. That's 0.75 clicks in our favour. By the same method we can rule out every one of his team-mates. Kagiso Rabada, Dwaine Pretorius, Andile Phehlukwayo, Chris Morris and Tabraiz Shamsi are all priced up significantly shorter than they should be given the number of 'wins' in this market. Lungi Ngidi, who we rate, is a different case. He's played only six T20s and the 10/3 could be considered value. We prefer the larger study sample of Tahir's career. And his genius. And Australia's foibles. The groundsman for this contest has stated that his aim is to produce a pitch which is full of runs. Sixes could be flying everywhere. This suits the fun-filled and fast-everything culture on the GC. And, hell, what would be the point of preparing a seamers' paradise? Naturally, then, the first price that catches our eye is the 19/2 (Betfair Sportsbook) that a century is scored in the first-innings. The problem, of course, is that price is no way near big enough. There have been only five in 78 matches in the last 12 months. There might be an edge on the fours match bet. Betfair Sportsbook go 5/6 home v evens away and the stats suggest South Africa should be at least make it choice. They average 13.1 and 12.8 per game in the last 12 months respectively. Australia average 11.8 in the last 12 months and 12 at home in the last two years.